You wanna hook up an old "ipod" to your "Blaupunkt"? You can Now can hook one up Very Easily! No Opening up the radio case! No installing a Special New Jack! No Soldering! No Mess,No Fuss! If you go on eBay or Google up "ipod Blaupunkt connector" you'll find all kinds of expensive connectors for ipods to Blaupunkts! Unfortunately, most of these are for much later or for current Blaupunkt radios. 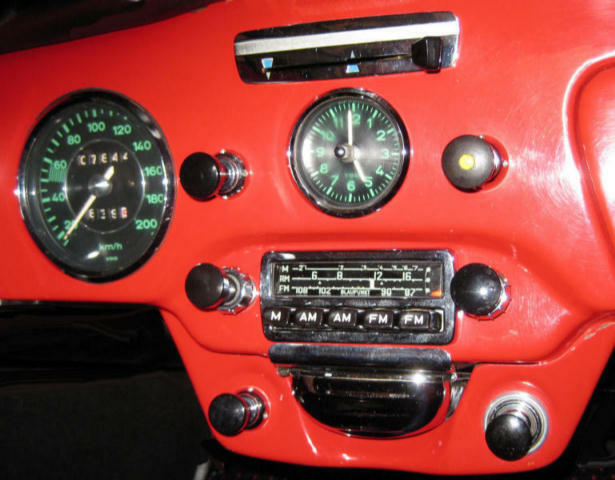 Most involve installing a custom jack in your vintage radio, and/or additional wiring, or require you to solder some parts together to make the connection work, or to have some kind of additional transmitter to plug into your cigarette lighter. 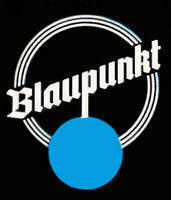 Most of what you see on eBay or Google DO NOT WORK for vintage Blaupunkt radios without a lot of work and fussing. 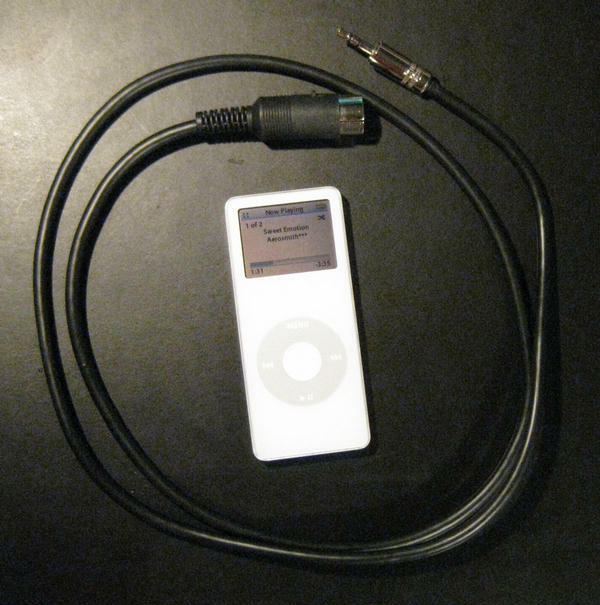 There is a single, simple two plug connector for ipods to Blaupunkts that is a Sinple Plug & Play connection! Very easy to use, no special jack, not additional internal wiring, no soldering, no mess, no fuss. Just plug it into your ipod and your existing vintage Blaupunkt radio and play! More details below! 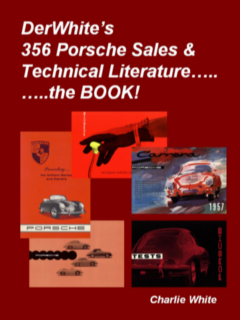 356-C Dash with an AM/FM/Marine band Blaupunkt Koln Radio! The GIZMO that hooks up your ipod to your old Blaupunkt! 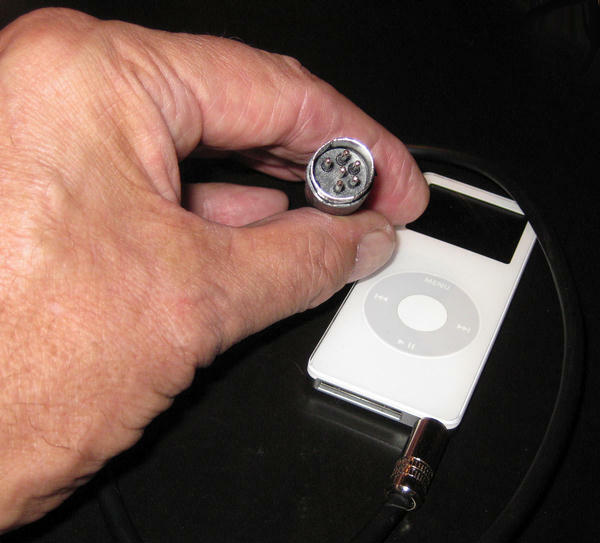 Just plug the small chrome jack into the bottom of your ipod and the larger black six-pronged jack into the plug on the side or back of your old Blaupunkt radio! You don't even have to remove the radio from the dash! You don't have to open the case, or add some special wiring. And you don't have to solder anything! You don't have to have an additional expensive transmitter! Just plug and play. This plug set works because vintage Blaupunkt radios starting in the early 1960's came with this six pronged socket that was to be used for an accessory record player or tape recorder. 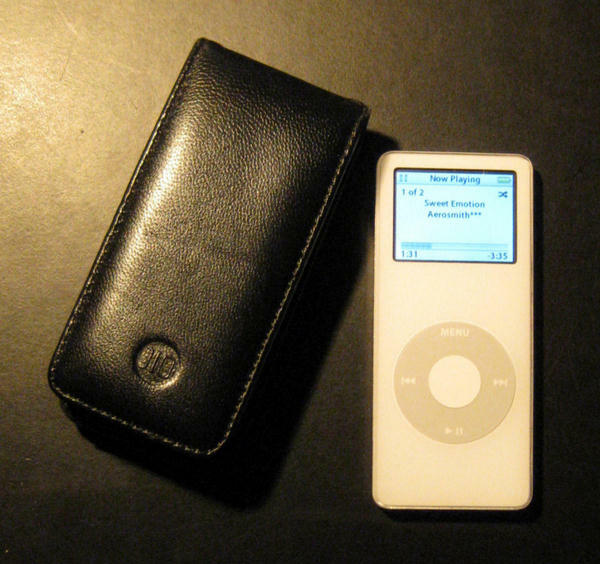 The music signal comes from the ipod, is amplified by the Blaupunkt radio's internal amplifier, and is then sent to the speakers. Very simple and it works great! 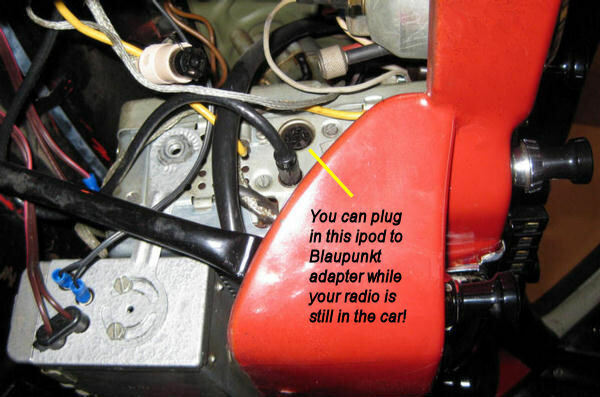 Blaupunkt started putting this accessory imput plug in it's radios in about 1959/1960, so check your old Blaupunkt radio carefully before acquiring this jack and plug set. Blaupunkt "T" series Koln 3 band radio from 1962/63 installed. 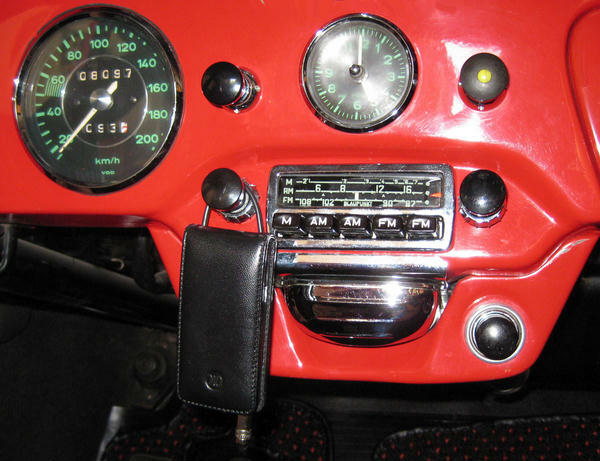 In the above picture, the radio is already installed in a 1965 356-C. All that you need to do is plug in the large black six pronged jack into the plug marked by the arrow, and the silver plug at the other end into the bottom of your ipod, and you're good to go! ipod in case hangs on radio knob, w/wire coming from under dash. Website first posted 6/30/12, updated 12/31/13. connector. No guarantees or warranties of any kind are expressed herein or implied.